September 1, 2017 – The launch of JPSS-1 is now scheduled for November 10 at 2:47 a.m. MST from Vandenberg Air Force Base in California. 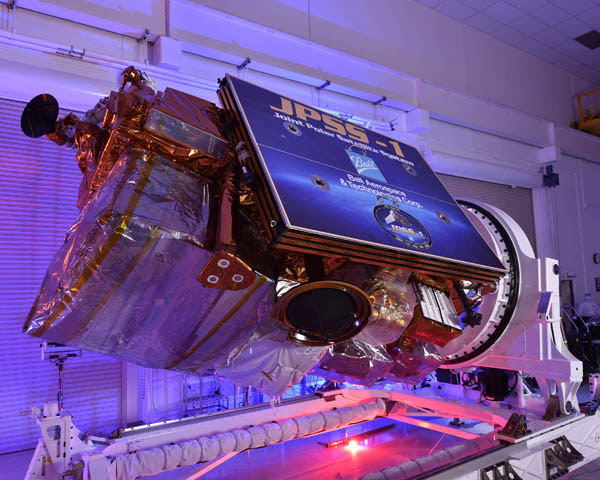 JPSS-1, built by Ball Aerospace in Boulder, Colorado, is the first in a series of NOAA’s four next-generation operational polar-orbiting weather satellites that will give scientists the most advanced tools to aid in weather forecasting and earth observations. JPSS-1 was originally scheduled to launch on January 20, 2017, and was most recently scheduled for September, but the new launch date has given engineers extra time to complete testing of the spacecraft and instrument electronics and to finish work on the Advanced Technology Microwave Sounder, one of the primary instruments on JPSS. The satellite carries five state-of-the-art instruments providing a comprehensive suite of earth observations. NOAA works in partnership with NASA on all JPSS missions.